Black Leather Wallet with Black Stitching. PERSONALIZED Credit Card Cash and Banknote Holder. Rustic Style Pouch. 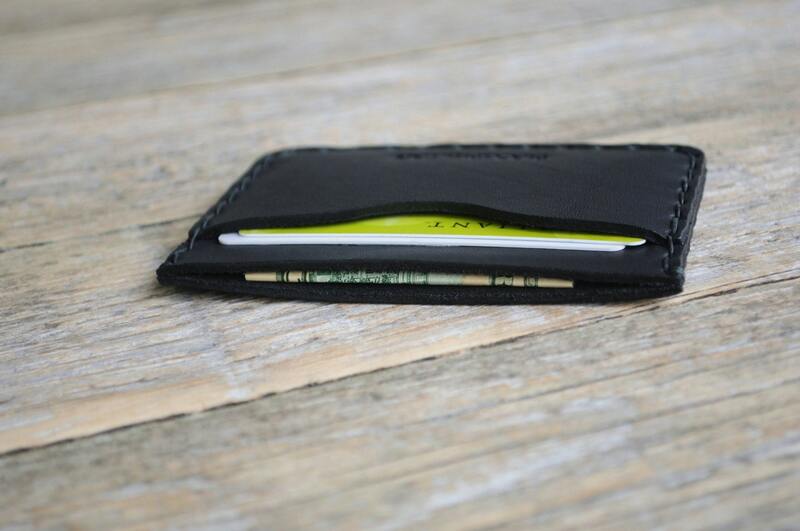 Small enough to fit the essentials without bulking up your pocket, this wallet is a must-have! We proudly introduce to you our handmade and hand sewn simple light brown leather wallet. This pouch has been made from quality cow leather that will prove to be durable and long lasting. Not only will this pouch be useful for your everyday needs, it will also look impressive in the process. Please note that all of real leather items differ since leather naturally has inconsistent texture and markings. The item you see in this picture may differ slightly in texture or markings from the one we have in stock. - Specify the message you would like to appear on the wallet. 15 characters are maximum. If you would like more letters then please message us! Happer studio takes pride in fast shipping; all of our products ship the same or next business day. In fact, we are so confident in our product that we guarantee you we will allow you to return your purchase if you are unsatisfied! 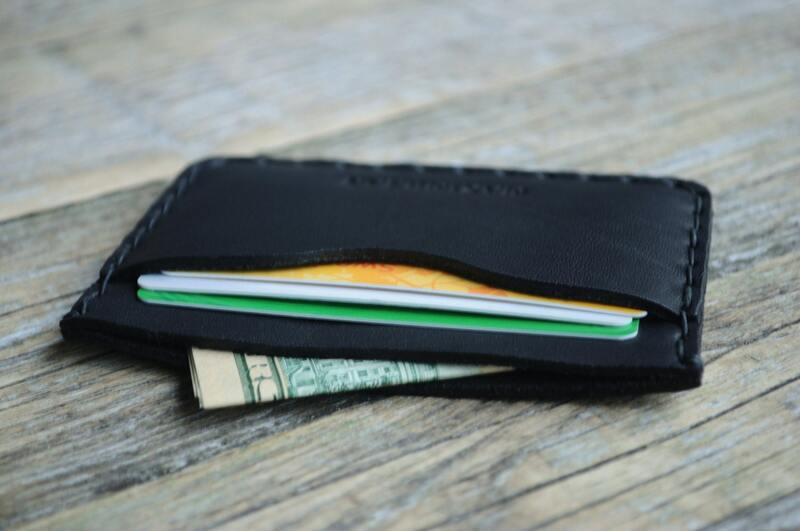 While we know you will love this simplistic wallet, we provide you with the opportunity to send us the purchase back! We are a prideful, loving family-run business that wants nothing but happy customers. 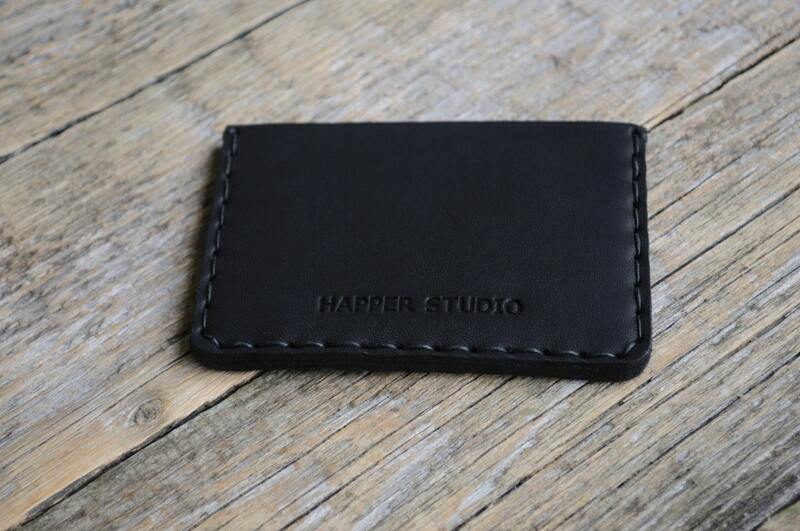 Happer Studio specializes in hand-made leather bags, sleeves, laptop cases, and accessories. Every product is handmade with love, and we pride ourselves on providing our customers with the highest quality items. Enjoy your shopping in the Happer Studio Store!